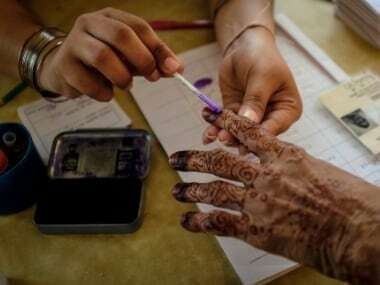 The National Democratic Alliance (NDA) on Saturday released its list of 39 candidates who will contest the upcoming Lok Sabha election from Bihar. The NDA, which includes the BJP, Janata Dal (United) and the Lok Janshakti Party (LJP), will face-off with the 'Mahaghatbandhan', which comprises the Congress, Rashtriya Janata Dal (RJD), Jitan Ram Manjhi's Hindustani Awam Morcha (HAM) and other smaller parties. While the BJP and JD(U), which was earlier part of the 'Mahagathbandhan' in Bihar, will contest 17 seats each, the LJP will contest from the rest. 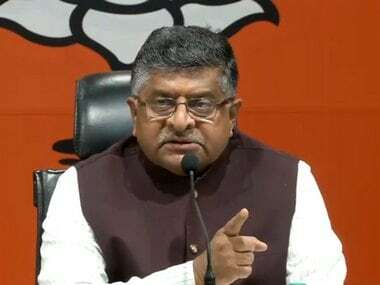 Some of the key candidates who will fight this year's election from Bihar are Union ministers Ravi Shankar Prasad, Radha Mohan Singh, Giriraj Singh and Ashwini Kumar Chaubey, BJP leader Ram Kripal Yadav and LJP leader Chirag Paswan. File image of Union minister Ravi Shankar Prasad. PTI. 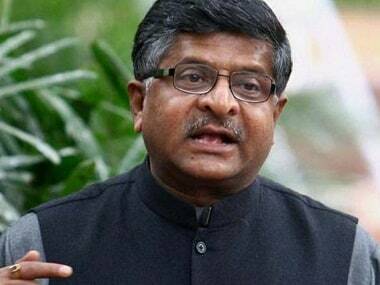 Prasad, the incumbent law and IT minister, will contest the Lok Sabha election for the first time this year. 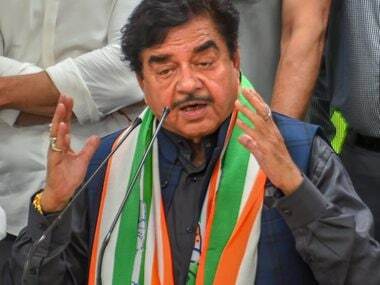 The NDA has fielded him from the Patna Sahib constituency, replacing rebel BJP leader Shatrughan Sinha, who had represented the seat since 2009. A Rajya Sabha MP since April 2000, Prasad had also served as a minister in the Atal Bihari Vajpayee government between 2001 and 2004. The agriculture minister in the Narendra Modi Cabinet, Singh will seek his sixth term in Parliament from the Purvi Champaran constituency. He had defeated Binod Kumar Shrivastava by 1.9 lakh votes in the 2014 Lok Sabha election. Singh has been representing Purvi Champaran since 2009, when it was created after the delimitation process. Before the 2009 election, he represented Motihari in the 9th, 11th and 13th Lok Sabha. A senior member of the JDU, Ashraf will fight from the Kishanganj seat. The constituency is one of the few in India where Muslim voters form an overwhelming majority. He had fought from Kishanganj in 2009, as well, but had lost to the Congress candidate. Ashraf had also contested from Purnia as an Independent candidate. Hajipur is the traditional stronghold of Union minister Ram Vilas Paswan, but this time, LJP leader Pashupati Kumar Paras will contest from the constituency. A minister in the Nitish Kumar government in Bihar, Paras is Paswan's younger brother. The Union minister will now be the NDA's candidate from Bihar for the Rajya Sabha. He had won the Hajipur seat eight times in the past 11 elections. Union minister Giriraj Singh will contest from Begusarai in the Lok Sabha polls. He had won the last election from the neighbouring Nawada constituency, which will be contested by an LJP candidate this time. Singh had expressed disappointment over not being allowed to contest from his traditional seat. A senior BJP leader, he has also been a cabinet minister in the Nitish Kumar government. Chirag Paswan, the son of Union minister Ram Vilas Paswan, will seek to be re-elected from Jamui. He had won the seat in the 2014 election, defeating his RJD rival by over 85,000 votes. Before entering the political arena, he had tried his hand in Bollywood but was unsuccessful. Chandan Kumar of the LJP will fight from the Nawada Lok Sabha constituency. Last time, Union minister Giriraj Singh had won the seat, but he will contest from Begusarai this time. Kumar, a muscleman, is the brother of former MP Surajbhan Singh. Former home Secretary RK Singh had won the Arrah Lok Sabha seat in the last election by defeating the sitting JDU MP by over 3.1 lakh votes. Singh, who will seek his second stint in the Lok Sabha this time, was made a minister of state in September 2017 and given independent charge of the power ministry. Before entering the political arena, he was one of the most senior IAS officers in the regime of the United Progressive Alliance. Union minister Ram Kripal Yadav will seek to be re-elected from Patiliputra in the election this year. In the last polls, he had defeated RJD leader and party chief Lalu Prasad Yadav's daughter Misa Bharti by a margin of over 40,000 votes. After winning the high-profile seat, Yadav, a former close aide of Lalu Prasad, was made a minister of state in the current Council of Ministers. Kaushalendra Singh will seek a third term from JD(U) stronghold Nalanda this year. Singh was first elected from Nalanda in 2009. He continued his winning streak in 2014, when he narrowly defeated LJP's Satyanand Sharma by just 9,000 votes. BJP's Chhedi Paswan will fighting from Sasaram this year, a constituency known for repeatedly electing former deputy prime minister Jagjivan Ram. Chhedi, who was with the JD(U) until 2014, earlier represented the constituency between 1989 and 1996. In the last election, Paswan defeated former Lok Sabha speaker Meira Kumar by over 63,000 votes. Vijay Kumar Manjhi will contest from Gaya against former chief minister Jitan Ram Manjhi, who is the nominee of the RJD-led 'Mahaghatbandhan'. The former JD(U) MLA replaces BJP's incumbent MP Hari Manjhi. Union minister Ashwini Kumar Chaubey will contesting from the Buxar Lok Sabha constituency. In the last election, he had defeated RJD's Jagdanand Singh by margin of over 1.3 lakh votes. Chaubey is an old BJP hand, having served the party for over four decades. He had also served as Bihar's health minister under Chief Minister Nitish Kumar till 2013.